Ready to harness the power of nature's most proven therapeutic compounds? Essential oil are used in range from aromatherapy, household cleaning products, personal beauty care and natural treatments. 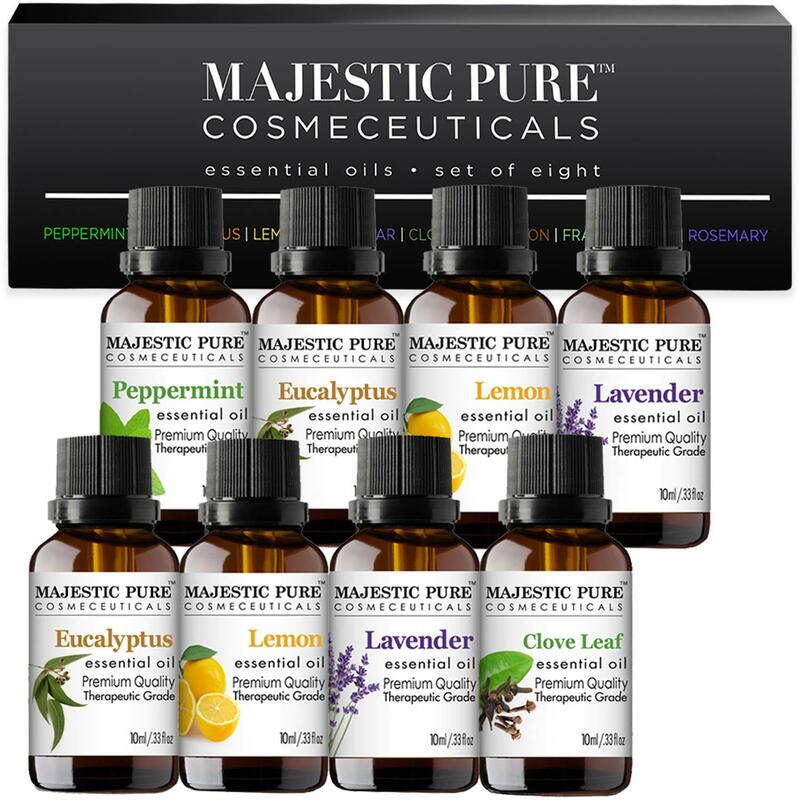 Essential oil benefits come from their antioxidant, antimicrobial and anti-inflammatory properties. Made from the aromatic essences of plants, essential oils have a remarkable ability to affect a person's well-being. 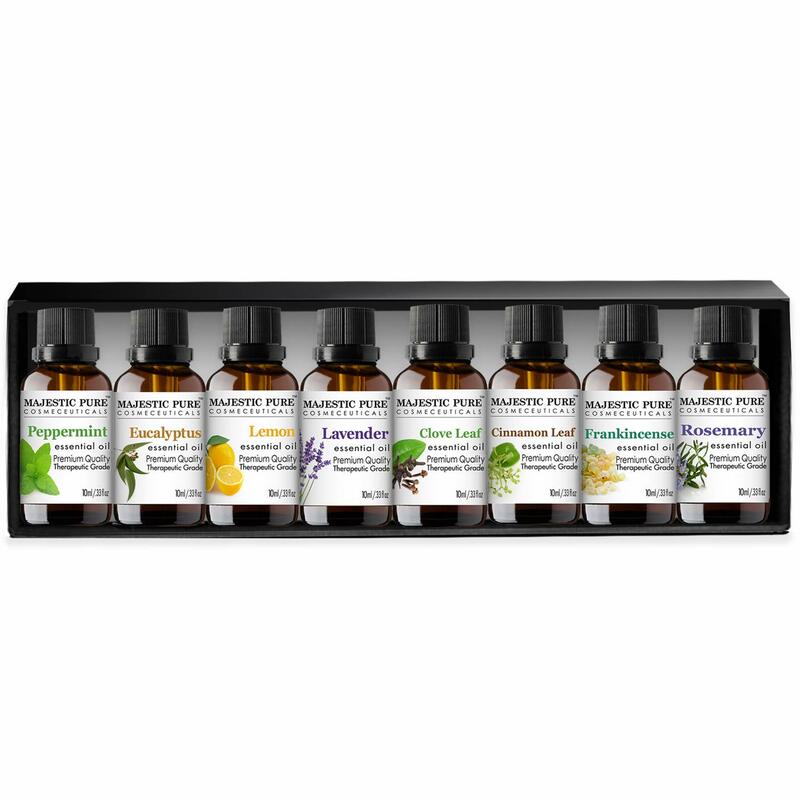 Careful selection of aromatherapy oils in our Essential 8 Collection is based on their individual characteristics and benefits as well as their ability to blend together for your unique aromatic preference and therapeutic needs. Essential oil gift set includes all components of famous thieves blend enabling you to make your own version of the powerful blend. 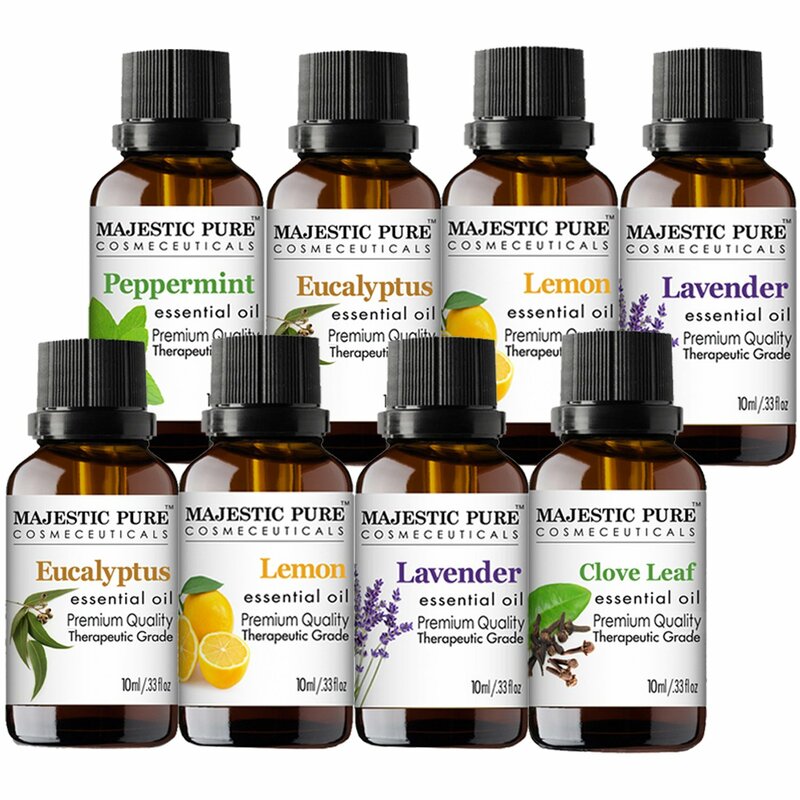 Majestic Pure Aromatherapy Essential Oils Set of 8 in one collection includes Bulgarian Lavender oil, Frankincense oil, Peppermint oil, Eucalyptus oil, Lemon oil, Clove Leaf oil, Cinnamon Leaf oil & Rosemary oil. 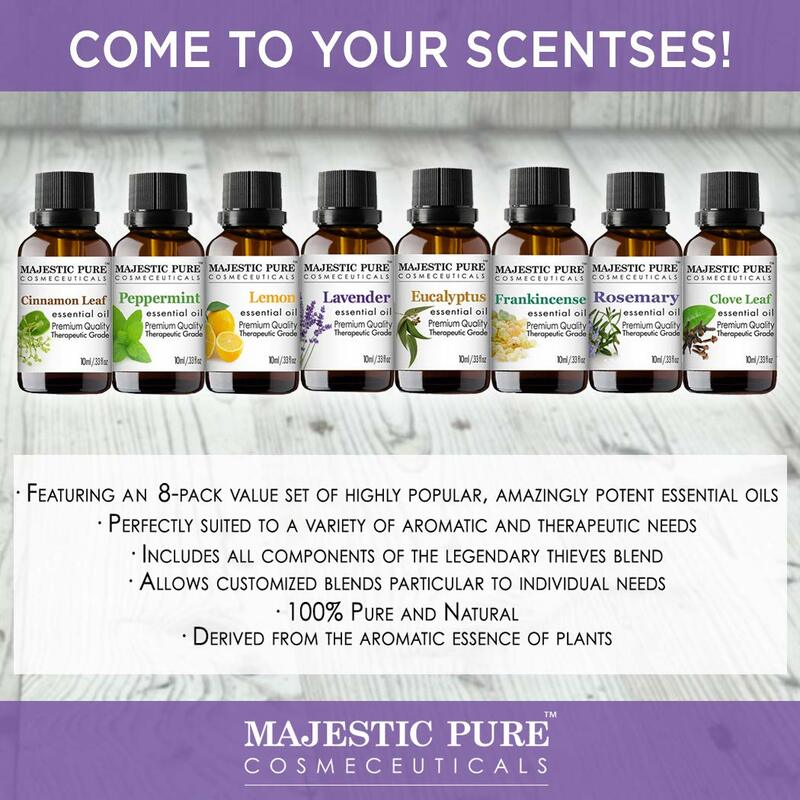 All our oils are pure and natural offering a huge variety of applications and benefits. 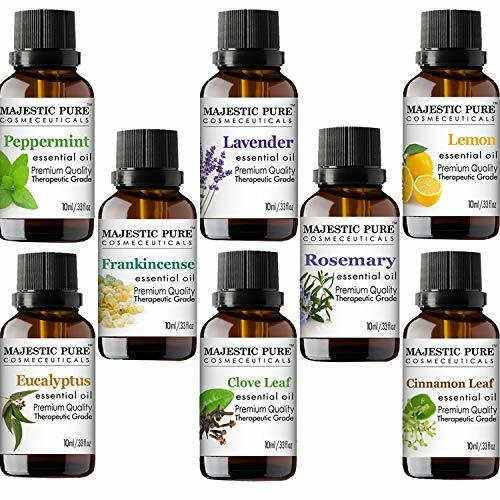 Majestic Pure essential oils are by far the most effective on the market that can help you achieve physical, emotional, mental and spiritual well-being. A perfect gift or for your own use.